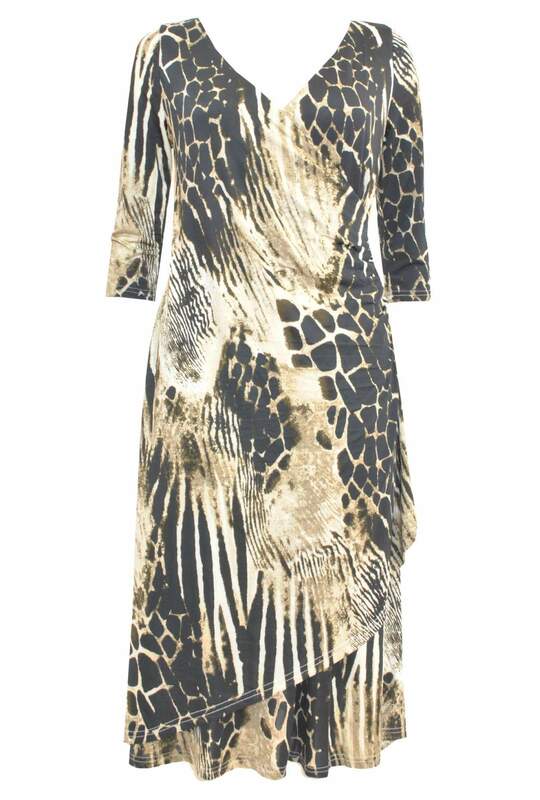 Exaggerate your curves with this beautiful ruched dress in an animal print. Featuring a V neckline, midi length skirt and a ruched waist detail. This feminine dress is sure to flatter any figure. Team with a sky high heels for a look thats bound to get you noticed.